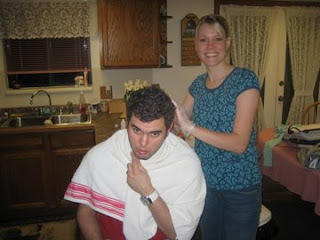 The Beagley's Blog: Tylers hair! So the other night we were walking through walmart and Tyler decides that he wants to dye his hair this dark reddish color. 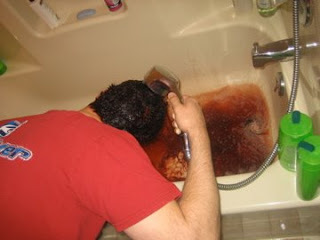 We brought it back to the house and then he tells me that i need to do it to him (i have never dyed anyones hair in my whole life!) So i just dived into and pasted the dye in his hair and a little on his face (by accident), and voila! 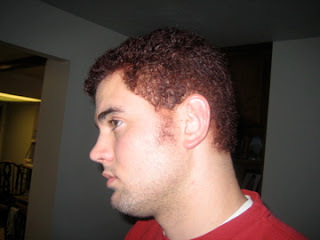 I was so nervous his hair was going to end up orange or something, but it all turned out ok! It is looking pretty good if ya ask me~! Good job! 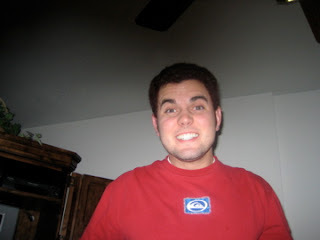 I've made Brett dye my hair a few times!